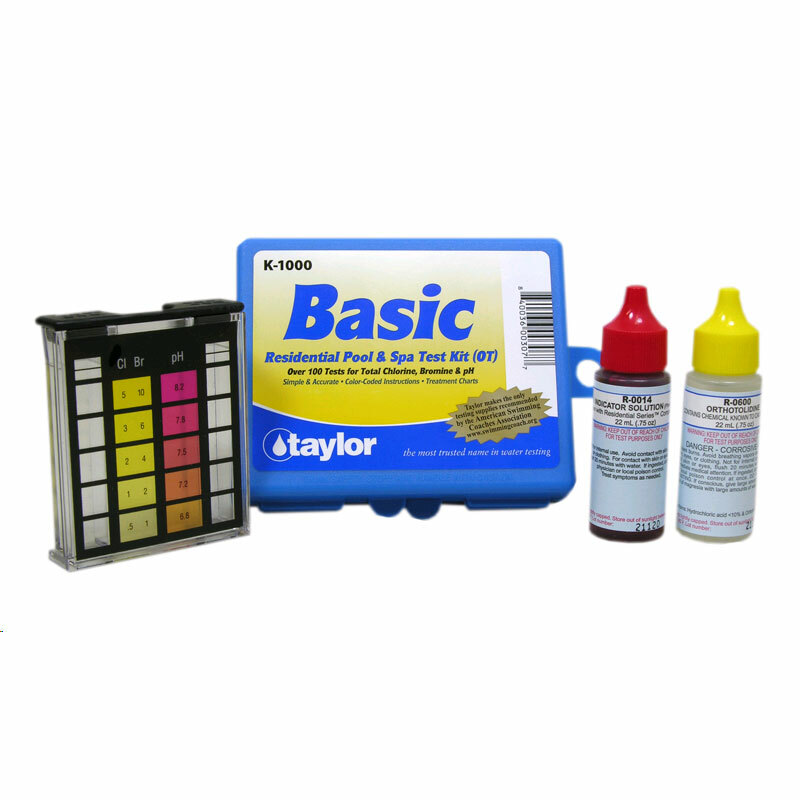 This K-1000 Basic Residential Series OT swimming pool and spa test kit from Taylor is easy to use and provides fast, accurate readings. It tests for Total chlorine (.5-5 ppm), Bromine (1-10 ppm) and pH (6.8-8.2 ppm). It features a hard shell case, an easy-to read comparator with molded fill lines, 3/4 oz. reagents, and user-friendly, color-coded instructions. The flip side of the instruction card has dosage charts so you can translate test results into treatment.